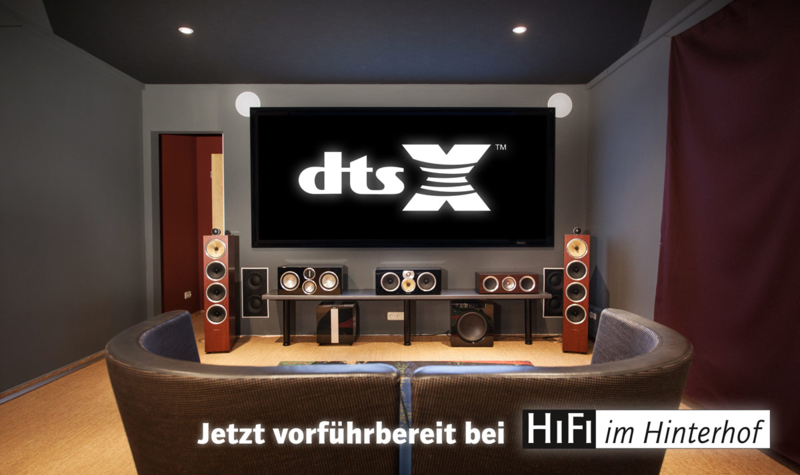 Our first test sessions with DTS:X have been very gratifying. Both specially DTS:X remixed demo sequences and conventional surround mixes in the expanded space have been very convincing. Automatically X technology out signal components from the surround mix and distributes them useful to the additional height channels – with impressive results: In the latter case, the receiver triggers thanks Neural Although natively present no altitude information, the height or ceiling speakers are effectively integrated. The sound remains clear and punchy, insofar Format benefit films known DTS-HD master quite a DTS: X Setup. The Denon AVR-X7200W / A and the Marantz AV8802 (A) the update works equally smoothly. Assuming a network connection, the update can be performed directly on the receiver. A basic overview of the 3D sound formats Dolby Atmos, DTS: X and Auro 3D we published some time ago. For questions we are of course available at any time.